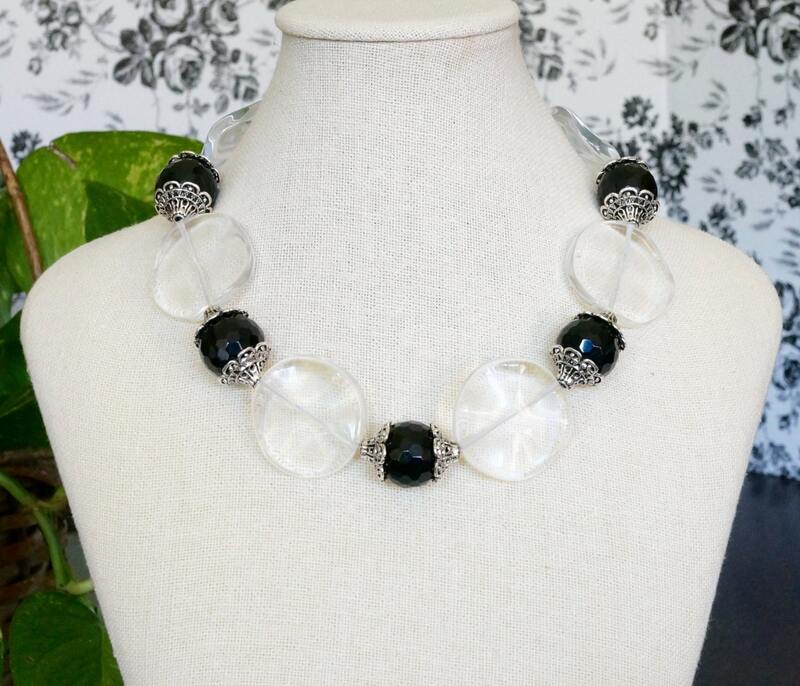 Here you have a statement set of necklace and earrings. 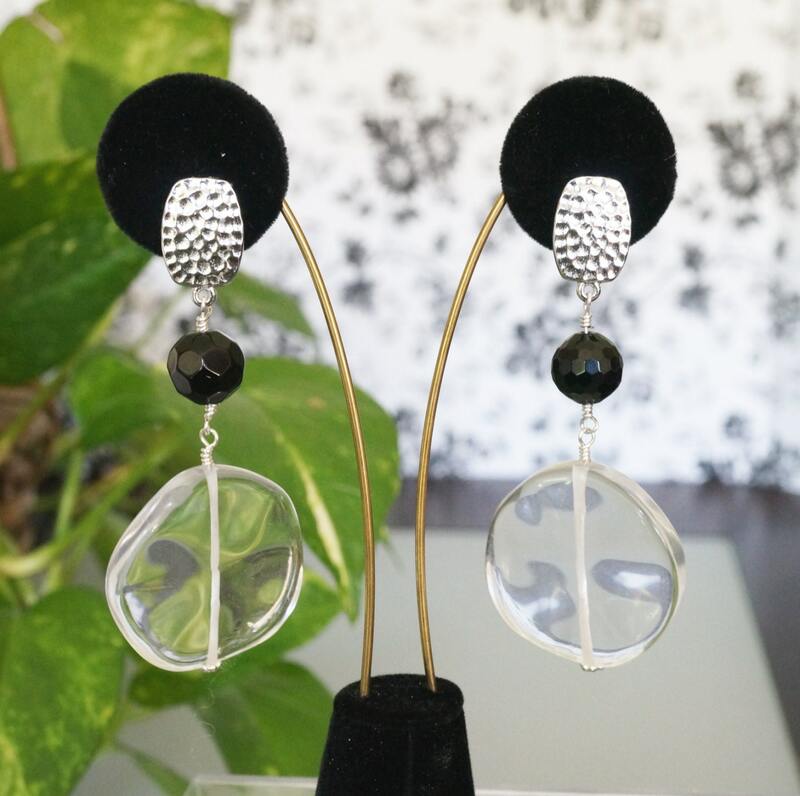 These pieces are made of faceted black onyx rounds, wavy crystal quartz beads. I have added a very attractive toggle clasp that is antique silver plated pewter. The earrings are clip earrings. The clip is silver plated hammered look. They measure 3.25 inches , and weigh 0.8 oz. They are on the heavier side, but stay on quite nicely with the clips. These clips are light on the earlobes. 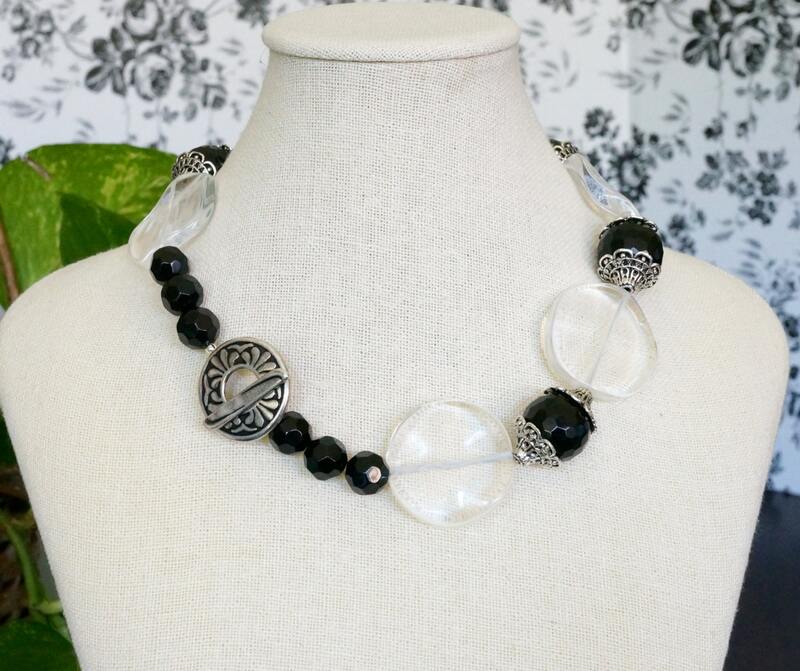 Please know that this necklace and earrings are one of a kind pieces. I do not repeat the exact same designs. You will be the only one to own it! Nobody else. That is what makes my jewelry so exclusive.